Women's Pack - Bont North America's Jilleanne Rookard pulls the tight-knit women's pack over the San Francisco road course. 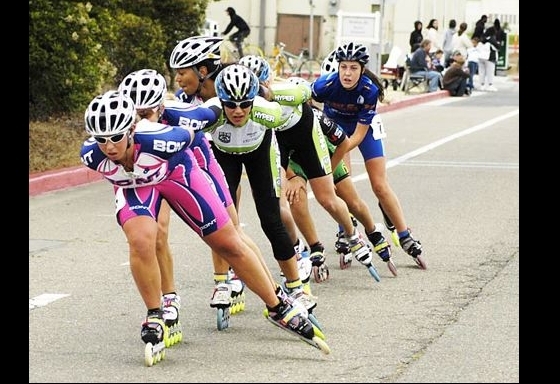 The pack of seven women formed quickly after the start and stayed together throughout the race. 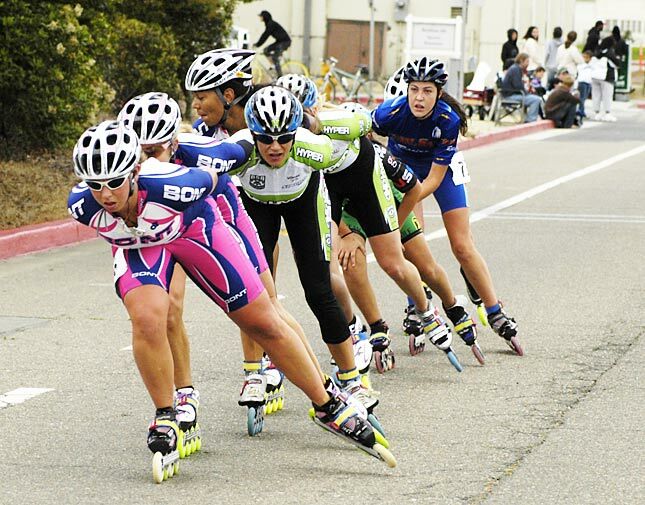 Behind Rookard is teammate Debbie Rice, followed by Hyper's Peggy Girgenti. Bringing up the rear is 16-year-old Nastassia Hamor (in blue).